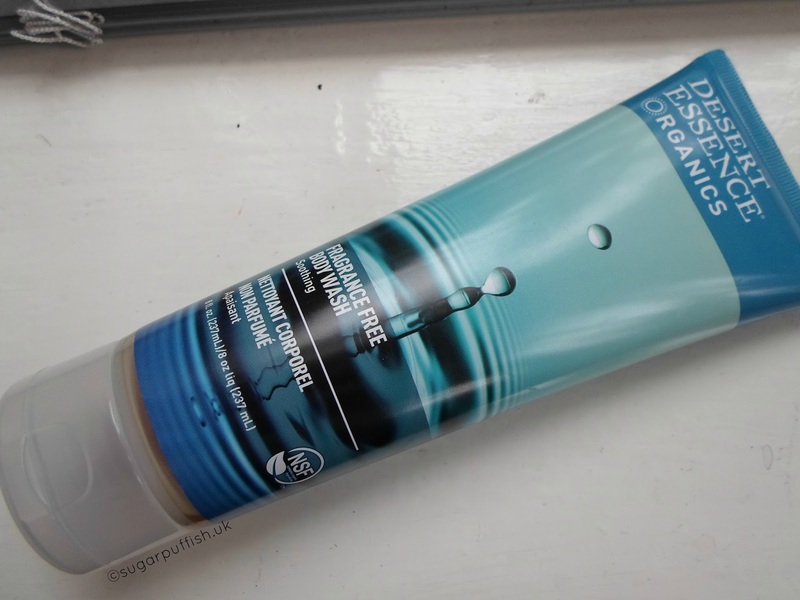 Body wash is not the most exciting of products but an essential none the less so worthy of a blog review. My main requirement for this type of product is it must be free from essential oils. I have seen a great improvement in my skin since I decided to ditch my obsession with lavender. The dermatologist skin tests I had a Christmas indicated a possible sensitivity to Linalool so I have limited my exposure to Lavender ever since. I have concluded that some areas of my body are possibly more sensitive to this ingredient than others. It could be coincidental but the dermatitis on my chest has finally stopped flaring, which I am relieved about as it has been driving me nuts for a couple of years. Scent free products are difficult to come by. I find few brands have these products in their ranges unless they have a personal understanding of allergies/sensitivity. Occasionally you’ll come across a bigger brand that accommodate and that's why Desert Essence came into my life. I am fortunate to have a local stockist so I can grab the Fragrance Free Body Wash when stocking up on Free From foods. It's a simple review I know but basically I like the Desert Essence Fragrance Free Body Wash. It has a great lather and lovely ingredients so I have no complaints. The packaging is the same as their haircare which suits me fine. In combination with my Konjac Sponge I feel happy that my skin is being treated kindly and I do not suffer dryness or irritation. It’s a good all rounder which I think would suit anyone. I will definitely be purchasing again. Despite a slightly higher price point than other brands I find I don’t use much product so I can make it last and get my monies worth. Great review. I haven't tried any of dessert essence products but will definitely check them out. Love trying out new body washes as it's the one product that get used up the most.